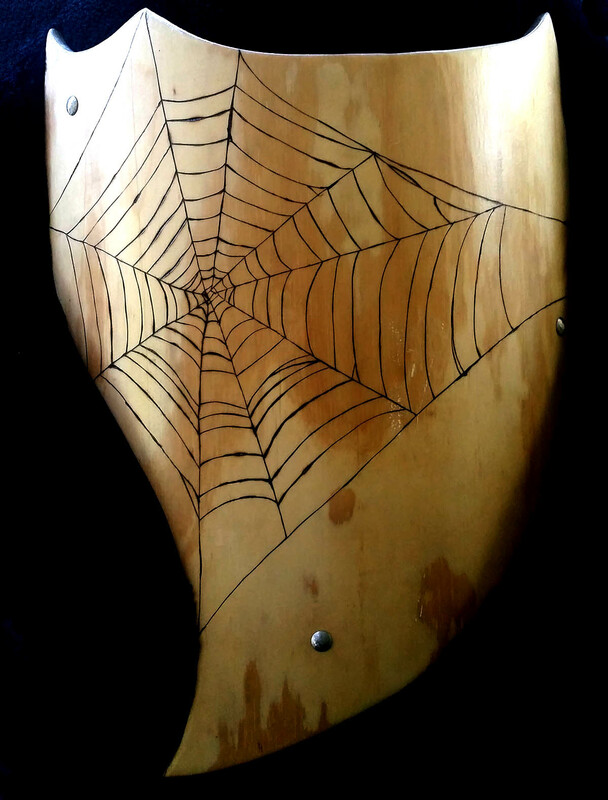 Yes, that there is a 100% real wooden shield, hand crafted by Asheville resident (and PFS Venture Captain) James Becker. 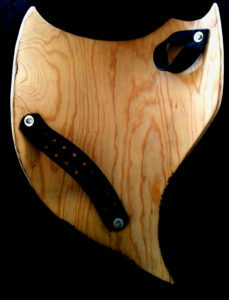 This is not some lightweight, hang it on your wall and never touch it again type shield. It’s solid, heavy, and the leather straps are securely bolted. You could totally use this to defend yourself from foam/pvc swords (and probably much worse…but you might mess up the lovely artwork). Speaking of which, check that fabulous spiderweb burned into the wood across the front. Now imagine yourself, racing down a hill at top speed toward your opponents, foam sword waving, face painted half-blue, rocking the kilt…and screaming “I’m Spiderman, mother#$%^!!”. Huge thanks out to James for creating and donating such an amazing prize!